A Memorable Treat for Rakshabandhan! Festival of threads is back again! 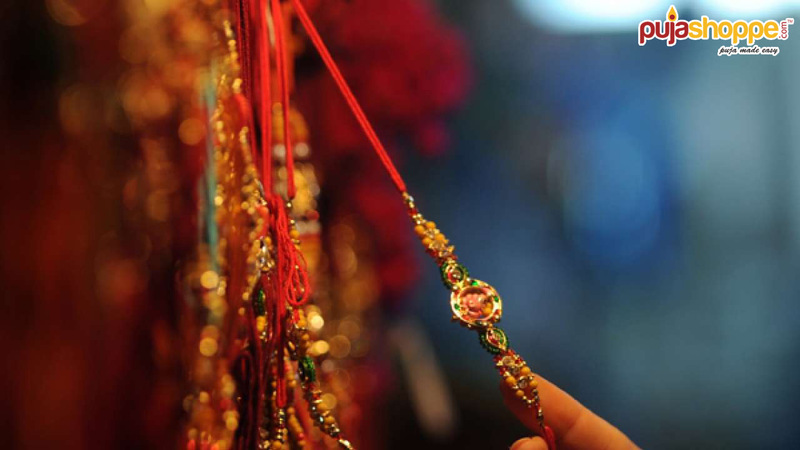 Rakhi is just around the corner, and you should start shopping well in advance to avoid last minute worries. If you are looking for rakhis, pujashoppe.com has come up with an extensive range of beautifully crafted rakhis, this season. You just need to access our website online (www.pujashoppe.com), go through the wide range of rakhis available, select the best one, place the order, and get it delivered at your doorstep. It is this simple process! The holiest month of the year in the Hindu calendar is here and Each Monday of this month, known as Shravan Somvar, is a special day cited in Shivpuran. It is a day when an idol is bathed with holy water or dharanatra hangs over the linga. Devotees from across the world mound the linga high with bel leaves and flowers and undergoes fast till sunset. 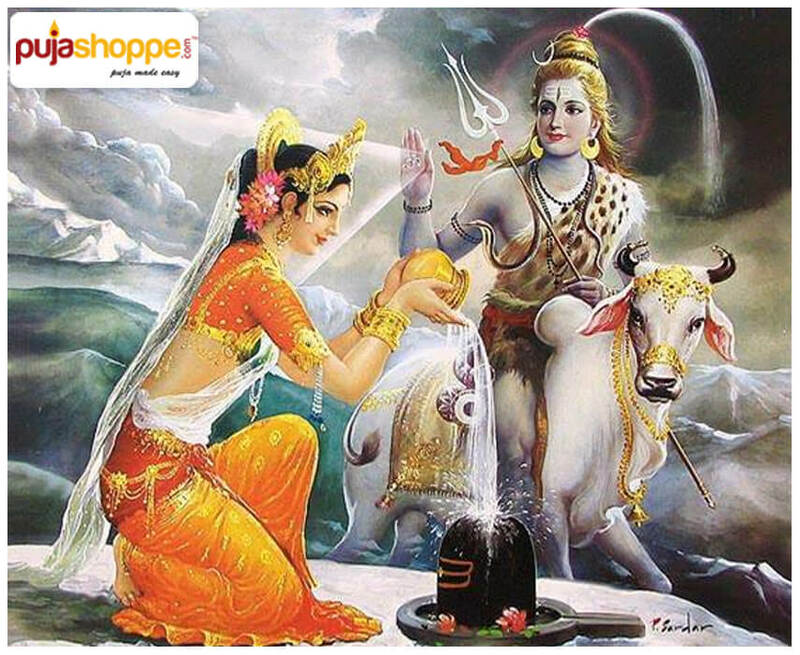 They receive the eternal blessing of Lord Shiva by observing fasts and worshipping assiduously. As we all know, how innocent Lord Shiva is and get impressed easily with devotees. That’s the only reason he is also known as ‘Bholenath’. Shivpuran has provided some really easy ways to perform puja during Sawan month and fulfill all your wishes. How Saraswati puja is celebrated in Bengal? Its February time and with board exams round the corner in March and April, every mother would think of celebrating saraswathi puja at their homes, so that her children’s can invoke the blessings of the goddess. This puja is celebrated in the month of phalgun month (January to February), and is celebrated popularly in the eastern region and is mostly celebrated by the youth in colleges, schools etc. 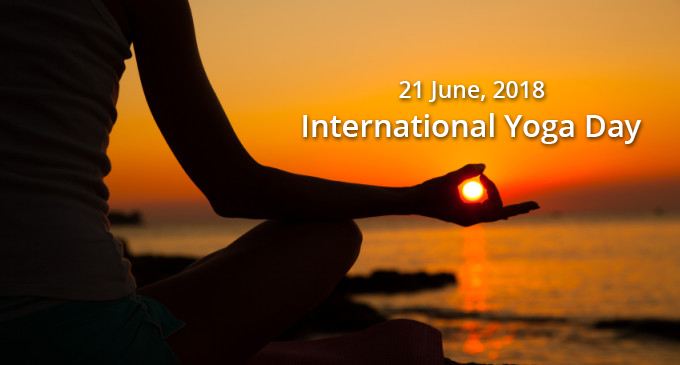 Moreover, this festival is observed during different times in different parts of India. In south India, this puja is celebrated during Navratri, which is also called the Mahanavami day, also observed as Ayudha puja and Saraswati puja. Flowers – louts, lilies or jasmine. 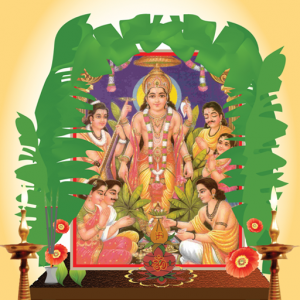 Satyanarayan puja is the most popular puja or Hindu ritual in India. Satya means truth and Narayan means the highest being. Satyanarayan is the God who is the chief embodiment of truth. Since the ancient days devotees are performing this ritual to invite well being and prosperity at home. It is said that if the puja is done with all faith and devotion, the problems and obstacles get resolved. 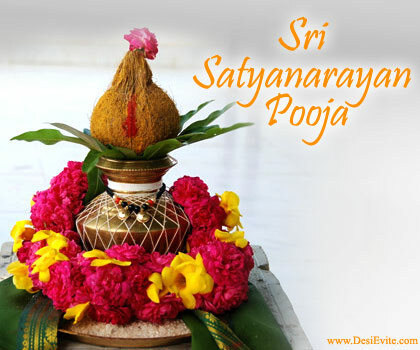 Satyanarayan puja is widely popular amongst the devotees. It is a simple puja with not too many rituals. You can perform this puja in any age. This puja is perfect to portray that it is not the God who matters but the faith and the love of devotees that matters the most. Though it can be performed any day and any time, especially when you are starting something auspicious. However, the devotees generally choose the Purniam and Ekadashi to perform the puja. If you start looking for a spiritual significance of Satyanarayan puja you will be amazed to find how big role it plays in the life of Hindu devotees. Satya means truth and Narayan is the highest being. Satyanarayan signifies the worshipping of highest embodiment of truth. • Every puja should start with the utterance of Gayatri mantra. • Then comes the consecrating of water on puja items and devotees for shuddhi. Follow these vidhi and welcome prosperity in your life and in your home. According to traditional Hindu calendar, Gita Jayanti occurs in the month of Margashirsha month, during the Shukla Ekadashi Tithi, on the 11th day of the waxing moon. This is also known as Moksha/Mokshada Ekadashi. 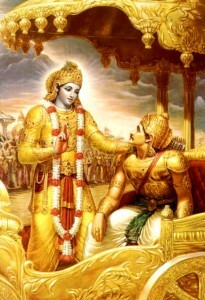 Gita Jayanti symbolizes the birth of Srimaad Bhagawad-Gita, which is considered as the sacred manuscript of the Hindus. As per Gregorian calendar, Gita Jayanti falls during the month of November or December. Moksha Ekadasi fast on Gita Jayanti is a significant Ekadashi fast. It is believed that fasting on Moksha Ekadashi benefits to accomplish ‘moksha’. Knowingly or unknowingly people suffer from guilt, they should observe this fast to get their sins erased. Bhagawad-Gita contains eighteen chapters and it is a resource of immense knowledge for humankind. It is believed that, Sri Krishna represented the “Bhagawad Gita” as a divine gift to Arjuna in the battleground of Kurukshetra, which is in Haryana, India at present. This year Gita Jayanti/ Moksha Ekadashi will occur on December 21, 2015. Ekadashi Tithi begins at 03:30 on December 21, and it ends at 01:11 on December 22, 2015. It is a momentous fasting day for devotees. Devotees offer prayers to Vishnu and Krishna and observe religious rituals by reading the divine chants from Bhagawad Gita. People who are observing fast/vrat must maintain clarity & purity from the day before Ekadashi, which is called Chaitra Shukla Pakshya Dashami. The person who is observing the fast should sleep on the ground, on Dashami Tithi night, before the Ekadashi day starts. The period of this vrat/fast is for one day, and the devotees follow all the rituals since Dashami itself. A devotee needs to get up early in the morning for a soil bath, and after that, the observer is supposed to perform all the rituals of the puja and worship Lord Vishnu/ Satya Narayana. According to the rituals, devotees take early morning bath and observe a fast/vrat on this auspicious day. 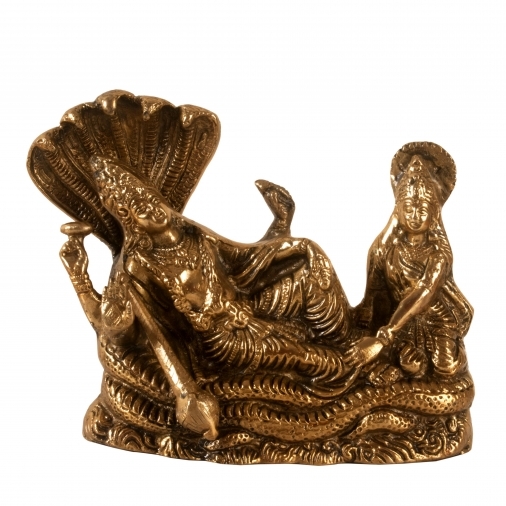 Puja is performed by decorating idols of Vishnu with new clothes and jewelry. Devotee should read Moksha Ekadashi Vrat Katha and worship Shrimad Bhagavad Gita, present Gita path and perform aarti. • One should collect all the listed things at Puja place or in the temple. 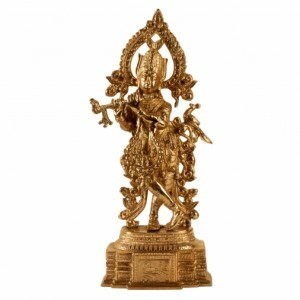 • One can also keep images or idol of Lord Vishnu. • Place the idol of Lord Vishnu on the decorated chowki. • Put chandan tilak on Lord Vishnu’s forehead. • Present Holy Basil (Tulsi) to Lord Vishnu especially. • Light the incense sticks, diyas, offer flowers, water, fruits & sweets as prasad to Lord Vishnu. • Light up camphor (Karpoor), and offer it to the Lord Vishnu in a clockwise mode which is called Aarati, and Nirajanam. • Pray or meditate for few minutes and perform the Aarati offering the earthen lamps, dhoop stick. After lighting the diyas sprinkle holy water, roli, kumkum, haldi, rice and panchamrita on the idol. • Sing Vishnu Sahasranama, along with the holy texts from Bhagawad Gita, Satya Narayana Vratakatha, and Vedic chants. The main observance of this day is the Ekadashi Vrat. The person is observing the fast cannot have any grains like-barley, wheat, rice, moong daal and consumption of salt, garlic, onion is totally prohibited. Devotees can consume fruits, curd, nuts and milk. The Vrat/fast is for 24 hours, though you can opt for a partial fast because of health problems. Devotees observing partial fast should avoid grains, oil, and salt, and eat curd, milk, fruits as well. While observing Moksha Ekadashi, devotee should stay away from alcohol, and non-vegetarian food. Nirjala Moksha Ekadashi Vrata is considered one of the most significant Vratas from ancient times. As Lord Vishnu holds the position of a great spiritual idol and source of divine inspirations, people follow all the rituals of this day with great enthusiasm & devotion. The day is observed by devotees all around the world with the analysis of Bhagawad Gita. Several seminars are organized on the day. The Hindu temples conduct extraordinary pujas on this auspicious day to dedicate Lord Vishnu and Sri Krishna. 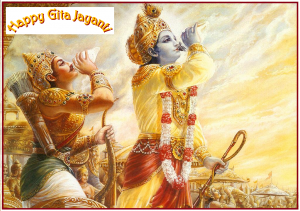 One can celebrate Gita Jayanti is by reading at least one verse from the Sri Bhagawad Gita. On this auspicious day, the temples make doorway like structures for devotees to pass through. So, you should visit temples, perform Puja and offer prasad. Devotees should break the fast within Dwadashi Tithi, next morning of Ekadashi before the Dwadashi ends. This vrat is observed from Ekadashi morning until the Dwadashi morning on the next day after taking bath and Morning Prayer to Lord Krishna . Fast is broken on the next day after taking bath and offering prayers to Lord Vishnu. Complete self-restraint from food on Ekadashi provides blissful consequences. Give a donation to Bramhins or any deprived person. As per Hindu calendar, Jagaddhatri Puja is observed in the Kartik month on the ninth day of the waxing phase of the moon. Jagaddhatri puja is mainly observed in Chandannagar and Krishnanagar area in Bengal where it was originated. Generally, Goddess Jagaddhatri is referred as a different appearance of Maa Durga. According to literal denotation, the word ‘Jagaddhatri’ means ‘Holder (Dhatri) of the World (Jagat)’. This year Jagaddhatri Puja will take place on November 20, 2015. Actual Jagaddhatri Puja rituals are celebrated for four days, Saptami, Ashtami, Navami and Dashami similar to Durga Puja. Devotees can get all the puja samagri before the main puja day. You can also get puja samagri, havan samagri online these days. During the four days of the festival, the puja area should be cleaned prior to the puja days, decorated with lights and garlands. While beginning the Puja, the idol of Goddess Jagaddhatri is established. On the day of Saptami, the goddess Jagaddhatri is worshipped as a sign of Yoga along with Dhak, Dhunuchi nachh and Vedic mantras along with flowers, naivedyam, and other offerings. On Ashtami day, the Goddess is worshipped as a source of affluence, nourishment, prosperity, and good luck. Prasad are distributed among devotees and in the neighborhoods. The major celebration happens on the day of Nabami. At some places, animal sacrifices are arranged as a ritual. However, this ancient ritual now has been replaced with sacrifices of banana, cucumber etc. On Nabami day, in some places, havan or yagna is arranged. Dashami is the last day when the deity is immersed in a local pond or river. The legend behind Govardhan puja is an interesting leela (story) of lord Krishna. Lord Vishnu incarnated in Dwapar Yuga, as a son of Vasudeva and Devaki. However, Nandji and Yashoda fostered him to keep him safe from his evil maternal uncle Kansha. It is believed that, Lord Krishna lifted Mount Govardhan with his little finger to protect ‘Brajwasi’ from downpour. Devotees also perform ‘Gou- puja’ on this day where they worship Cows and feed them. This puja is also recognized as ‘Annakut Puja’. Devotees offer food made of wheat, rice, gram flour, and vegetables in a huge quantity, so it takes the structure of a mountain. This year Govardhan Puja will be celebrated on 12 November, on Thursday. The most significant Govardhan Puja takes place in Mathura. On this promising day, thousands of devotees execute Govardhan Parikrama on the day. Devotees should put together all the Govardhan puja samagri before the main puja date. Some people van observe complete or partial fast depending on health condition. One should get all these following puja samagri for this puja. How to do Govardhan puja at home? i) This puja is mainly performed in the morning. Using garden soil, devotees make a dummy/structure of Govardhan parvat (mountain). You should decorate it as if you are embellishing lord Krishna. After invoking the lord offer two sticks of sugarcane, curd, milk, and sweets followed by akshata, roli, moli, kumkum, and naivedyam to the Lord Vishnu. ii) Initiate the aarti with earthen lamps, incense, and camphor. Perform minimum three parikrama around the form of mountain. After the puja is done, devotees should read the story of Lord Krishna and Govardhan Parvat and distribute prasad. iii) Offer money as dakshina to the Bramhins who performed the puja. iv) Significantly, the women of the residence eat the payesam first and consume the fresh cooked food. According to Indian mythology it is believed that Vaman dev was the fifth incarnation of Lord Vishnu. Vamana Jayanti is considered as the birth anniversary of Vaman Dev, and the day is observed on the twelfth day of the Shukla Paksha of Bhadra/Bhadrapada month (August-September). This year, Vamana Jayanti will take place on 24th September, 2015. According to deep-rooted Indian myths, Vamana Dev appeared as a dwarf on earth during Treta Yuga to give moksha to Asura King Bali, the grandson of Prahlada. He also helped Devas (Demi gods) who had lost their strength to Asura King Bali. On this auspicious day, devotees worship Lord Vishnu with complete devotion. It is accepted that, the one who performs this puja with a pure heart; he/she gets freedom from all the sinful reactions, aberrant sufferings, and triumph over salvation. Thus, if one truthfully wishes sovereignty from the harsh world, one should observe Ekadashi fast on Vamana Jayanti. Lord Vishnu temples organize special puja on this fortunate day. Devotees, specially Vaishnabas celebrate the festival by observing a fast, and night watch invoking Vaman avatar and offering 52 sweets, offerings and alms. • Devotee should organize a puja and get the required puja kits before the Ekadashi day. • One should observe ‘nirjala’ fast throughout the day. • The idol of Lord Vishnu should be washed grandly with holy water and panchamrita. • Initiate the puja by chanting Beej mantra followed by presenting a seat (Asana) to the Lord Vishnu. • One can offer rice and curd to satisfy Lord Vishnu, as it is considered auspicious. • While performing the puja, devotee should chant ‘Vishnu Sahasranama’ and ‘Narayana Mantra’ for 108 times. • While offering flowers, diyas, incense and naivedyam, one must chant 108 recitation of Lord Vishnu’s name with great devotion. • In the evening, devotees listen to the mythological story ‘Vamana Katha’ along with family members. After that prasad is distributed among the devotees. • For positivity and good luck one can donate foodstuff to Brahmins. 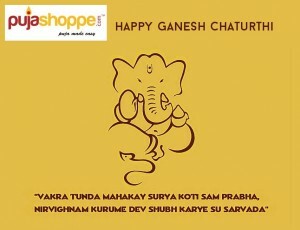 Ganesh Chaturthi or Vinayaka Chaturthi is a sacred Hindu festival celebrated as birth anniversary of Lord Ganesha. According to Hindu Mythology, Lord Ganesha is the elephant-headed son of Lord Shiva and Goddess Parvati, and Lord Ganesha is believed as the figure of wisdom, prosperity and good luck. During Shukla Paksha the chaturthi after Poornima (full moon) is celebrated as Vinayaka Chaturthi. This year Ganesh Chaturthi will take place on 17 September 2015. Chaturthi Tithi begins at 20:01 on 16th September, and it will end at 22:20 on 17th September, 2015. Ganesh Chaturthi is considered very auspicious for Hindus all over India and there is a strong belief that, Lord Ganesha takes away all the obstructions and difficulties from our lives. While organizing Ganesha puja at home and observing a fast, devotee should maintain few things. Read below to know the particulars. Devotees should observe fast from sunrise on this day, worship the sculpted figure of Ganesha, and finish the puja on the Chaturthi evening. Fasting is observed when Chaturthi Tithi exists during midday. As fasting for Vinayaka Chaturthi depends on sunrise and sunset timings, one might has to observe fast on Tritiya Tithi, one day before Chaturthi Tithi. Depending on Chaturthi Tithi, sighting of moon might be prohibited for two following days. According to Vedic tradition, while Chaturthi Tithi exists, moonrise or moonset should not be viewed by devotee(s). Lord Ganesha idol/murti, plantain leaf (kela patta), one metallic plate, 2- 3 cups rice for enunciating lord’s turmeric vigraha (optional), ghanta (bell), haldi (turmeric), kumkum (vermilion), akshata, flowers, garlands, two full coconuts, 6 bananas, modak (jaggery filled sweet), red chandan paste (red sandalwood paste), betel leaves (paan), betel nuts (supaari), durba grass, panchaamrita (honey, milk, ghee, curds, sugar – all in one cup), clay or metallic diyas or lamps, incense sticks (agarbatti). Devotee can do the puja himself or the puja can be done by Vedic priests. The strict rituals of this puja are meant for Vedic priests/temples. 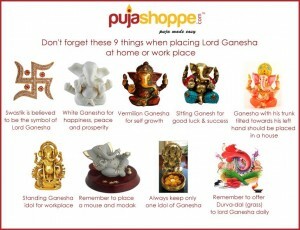 While you are performing Ganesha Puja at home, you can always be flexible. All you need to be careful is to perform the puja with a clean body and clean mind. Here is the simple guideline and puja vidhi you can follow to perform the puja. 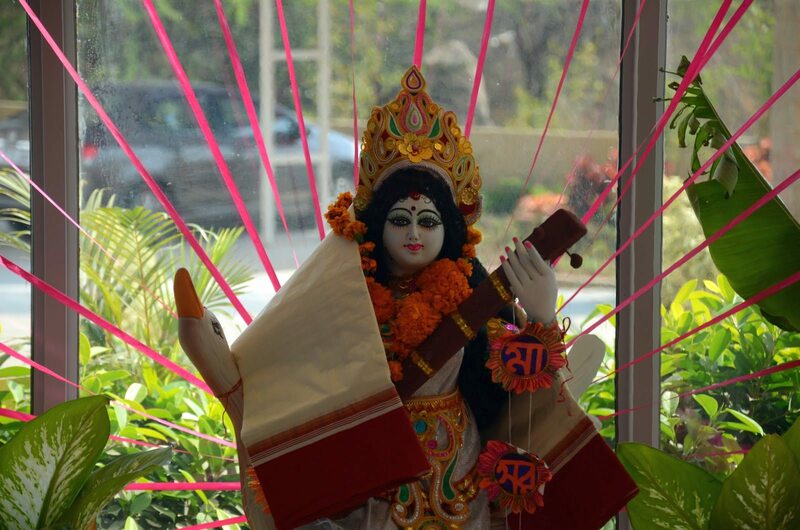 You can start the puja by cleansing yourself, and keep the surroundings, puja place decorated, clean & tidy. The most significant thing about Ganesh Puja is ‘Shodashopachara Puja’. There are sixteen steps included in the whole puja process. Before initiating the puja ‘Deep Prajawalan’ and ‘Sankalpa’ are done which are not part of core sixteen steps of Shodashopachara Puja. The Lord Ganesha idol should be placed on a clean platform. Put a clean plate or betel leaf facing the Lord. After placing the Lord Ganesha, pray to him by chanting mantras from Rig Veda. Offer seat and scented water to the God. Sprinkle some holy water on him. Place kumkum on the plate, and decorate it with flowers. You can keep the coconut in front of the idol or break in two parts which is believed as a sacred factor. Offer fresh fruits, 21 modaks as prasad, after that offer 21 blades of Durba/Durva grass, red flowers to Lord Ganesha. Apply a tilak to the God using red sandalwood paste. The number 21 indicates the five organs of perception, actions, five vital airs (pranas), five elements, and the one mind. Fold your hands in Namashkaar form, sit comfortably, close your eyes, take a deep breath, and start chanting ‘Om’. Sign the following mantras: “Vakratunda mahaakaaya soorya koti samaprabha/ nirvighnam kuru me deva sarva kaaryeshu sarvadaa”. In the evening, light a clay diya or lamp with ghee/coconut oil, start reciting the 108 names of Ganesha or chant slokas. Offer the coconut, banana, milk as prasad/naivedya along with flowers to the Lord Ganesha.